With the aiming to attain greatest client satisfaction, we are engaged in presenting Masking Tapes. 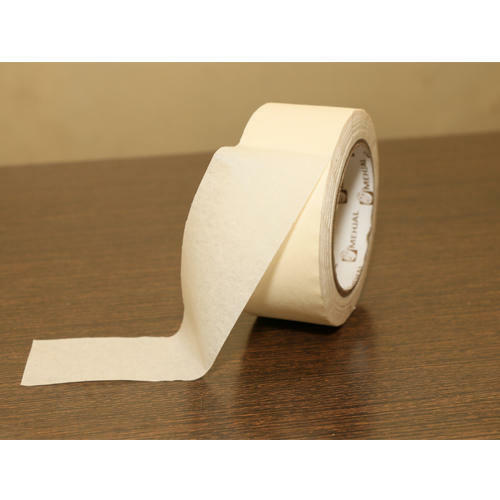 Masking Tapes is a pressure sensitive tape made of a thin and easy-to-tear paper or polyester base depending on the application. The adhesive is the key element for its application. It allows the tape to be easily removed from the surface without leaving residue or damaging the surface. Incepted in the year 1988, we "Mehjal Adhesive Tapes Private Limited ", are effectively occupied with manufacturing, exporting Tapes. We offer a wide and comprehensive range of products, which include Appliances Tapes, Automobile Industries Tapes and Electronics and Electricals Tapes. We are setting an example in the industry by providing sturdy design, weather resistant finish, easy to fix products which require a low cost. We take pride in offering high-quality products, timely delivery at very affordable prices. This approach has earned us an unparalleled niche in the market place. Add to that our customer-centric, as well as quality-focused business policies, have been enabled us to muster a large client-base in this competitive market. We have set up a state-of-the-art manufacturing facility fitted with latest product development tools and equipment. Constructed as per industrial standards, it has adequate space for orderly placement of various materials and machinery. Additionally, we have a spacious warehousing facility well segregated into different stocking areas. Furthermore, we have a team of the dedicated and efficient workforce who satisfy the requirements of our esteemed customers. Observing high-quality standards begins with the framing of the specification for raw materials and is strictly adhered to during product development, product designing until product delivery.